The whole purpose of social networking is to give us another way to connect with people – so why does it sometimes feel like we’re more isolated from other humans than ever before? A young company called Trovare has developed Amico as a way to translate Facebook into the real world. 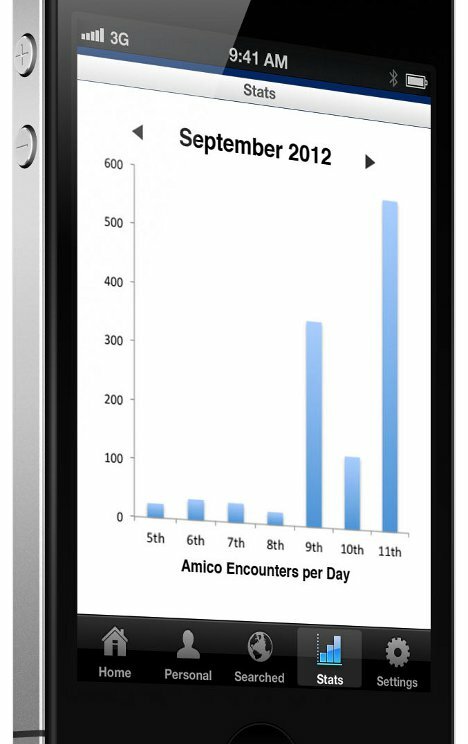 Using a flexible wristband and a smartphone app, Amico quietly and privately helps you find like-minded people wherever you are. The Amico app connects to your Facebook profile and, when you’re out, searches for nearby folks whose profiles are similar to yours. 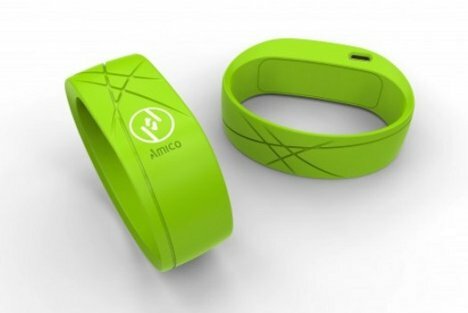 When you’re near someone who might be compatible as a friend or partner (and who also happens to use the Amico product, of course), the wristband vibrates. The magical part of the system is that the app doesn’t tell you which of the people nearby is a potential match. You have to figure that part out on your own by mingling and mixing with the crowd. This fun bit of mystery lets Amico avoid being a “dating app” and instead lets it be something truly unique: a tool that tells you when your potential soul mate or future BFF is within small-talk distance.